« Home prices in Los Gatos & Monte Sereno: how much home can your money buy? Where can you find a 1 story townhouse which is only connected to its neighbor at the garage? This description fits many of the homes at Los Gatos Village, a tidy townhome community in east Los Gatos set alongside Los Gatos-Almaden Road. Built in 1972, these comfortable homes are well designed both inside and out. There are 163 units and of them, 57 have 2 stories and the rest are single story homes. 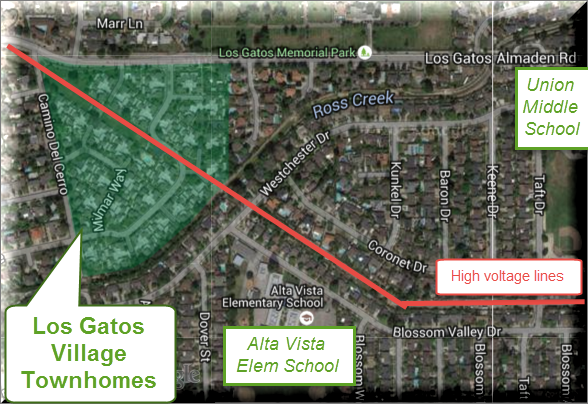 How big are the interiors and lots of town houses at Los Gatos Village? These homes are modest in size, ranging from 1015 to 1494 square feet, generally (one home has 1648 SF – I would love to hear how that happened!). They have 2 or 3 bedrooms and 2 baths (there may be a few with 2.5 or 3 bathrooms, but most have 2). The lots likewise have a range between about 1563 SF and 4520 SF. I believe that every one of them has a 2 car garage. 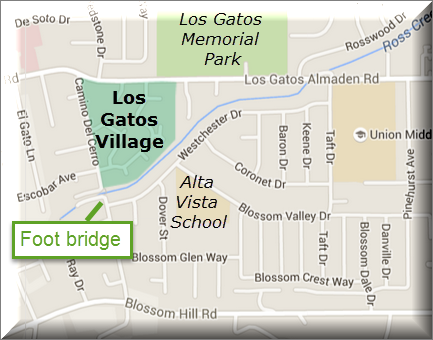 Homes in Los Gatos Village represent a bit of a bargain for Los Gatos housing prices as they are available for under $1 million (as of this writing in August 2015). Three sales in the last six months, from the update here in October 2016, have been in the mid $700s to the mid $900s. Dues are in the high $300s but includes quite a lot – painting, roof, beautiful lawn areas, and a pool. The incredibly good pricing might be why turnover is so low. In the last 365 days, there have been just 5 sales, representing a 3% annual turnover. If you see it and like it, buy it fast. If you want to watch for these properties in your home search, these are the streets in which Los Gatos Village homes are located: Milmar Way, Los Gatos-Almaden Road, Escobar Court, Escobar Avenue, and Camino del Cerro. Very very good: Every home and every location has good and bad elements to factor in. Here there’s a whole lot of good – the price point (esp. for the schools), very private townhomes, many barely attached at all and more like “patio homes” than town houses. The floorplans are smartly designed with good use of space and flow. Many enjoy vaulted ceilings. Outside patios are also fairly spacious as townhome living goes. It’s very hard to find a single story townhome, but there are more than 100 of them here! 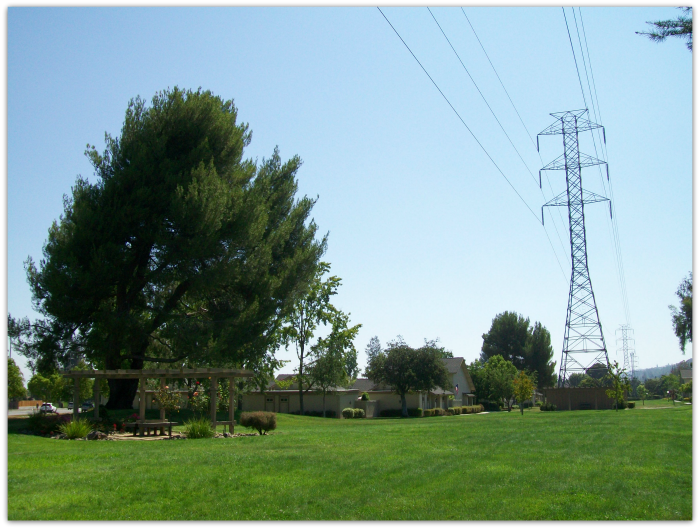 The complex is very scenic with lots of lawn area and graceful sidewalks inviting a good stroll into the neighborhoods nearby. What newcomers may miss is the very convenient foot bridge where Camino del Cerro would seem to go through but is stopped by Ross Creek with two points of the road which do not actually connect for cars. But people on bike, skateboard, foot, or otherwise motor vehicle free can get across on the pedestrian bridge. This is very convenient if your goal is to get to Alta Vista Elementary School, which is just 1115 feet or so from the other side of the creek. And in case you didn’t know, Alta Vista Elementary and Union Middle School are both very highly scoring with API scores well into the 900s. This alone is a major draw for homes in this price point! But wait, there’s more! 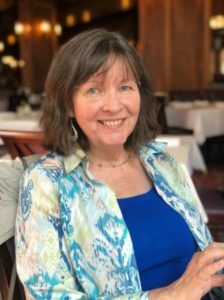 From this community it’s less than a mile’s walk to nearby Safeway, a coffee shop and all kinds of little stores at The Downing Center at Los Gatos-Amaden Road and Union. I measured about 6/10 of a mile from the front of LG Village to the shopping center. For those who cannot or do not want to drive, this is a pretty sweet location for taking care of the essentials! Good schools, walkable area, more accessible homes (single story) set in a quiet, campus like setting – Los Gatos Village does have something for everyone and appeals to home buyers of all ages. The not so good: The pricing and location is so good that you just know there had to be something making this so affordable, and so there is. High voltage power lines cut pretty much through the middle of this pretty community, far closer to the homes than many home buyers would like. And there’s nothing that can be done about it. One corner of the community is “kitty corner” from the cemetery, the Los Gatos Memorial Park. For some home buyers, that may be a deal killer, but many will not take issue with the quiet neighbors. These townhomes are older and some have “popcorn” or acoustic ceilings that today’s buyers do not want. If you otherwise like the home, I would suggest not eliminating it from your wish list because of the ceiling. You can hire someone to do it before you move in and it’s not nearly as costly as most Silicon Valley home buyers would think. Below please find a list of condos and townhouses which are for sale – as of the date of this article being written, none were for sale in Los Gatos Village.